In her first work of fiction in more than a decade, award-winning novelist Hilma Wolitzer brilliantly renders the intimate details of ordinary life and exposes a host of hidden truths. The Doctor’s Daughter is a haunting portrait of a woman coming to terms with her family history and the fallibility of memory. One morning, Alice Brill awakes with a sudden awareness that something is wrong. There’s a hollowness in her chest, and a sensation of dread that she can’t identify or shake. Was it something she’s done, or forgotten to do? As she scours her mind for the source of her unease, she confronts an array of disturbing possibilities. First, there is her marriage, a once vibrant relationship that now languishes stasis. Then there’s her idle, misdirected younger son, who always needs bailing out of some difficulty. Or perhaps Alice’s trepidation is caused by the loss of her career as an editor at a large publishing house, and the new path she’s paved for herself as a freelance book doctor. Or it might be the real doctor in her life: her father. Formerly one of New York’s top surgeons, he now rests in a nursing home, his mind gripped by dementia. And the Eden that was Alice’s childhood–the material benefits and reflected glory of being a successful doctor’s daughter, the romance of her parents’ famously perfect marriage–makes her own domestic life seem fatally flawed. While struggling to find the root of her restlessness, Alice is buoyed by her discovery of a talented new writer, a man who works by day as a machinist in Michigan. Soon their interactions and feelings intensify, and Alice realizes that the mystery she’s been trying to solve lies not in the present, as she had assumed, but in the past–and in the secrets of a marriage that was never as perfect as it appeared. 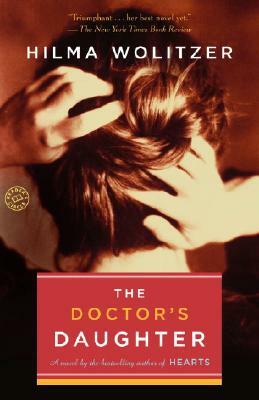 Like the best works of Anne Tyler, Sue Miller, and Gail Godwin, The Doctor’s Daughter is private yet universal, luminous and revelatory–and marks the reemergence of a singular talent in American writing.